Qredits now also provides microcredits on Curaçao! A fourth branch in the Caribbean is a fact! Today the Qredits Curacao office was officially opened by Curacao Prime Minister Eugene Rhuggenaath. 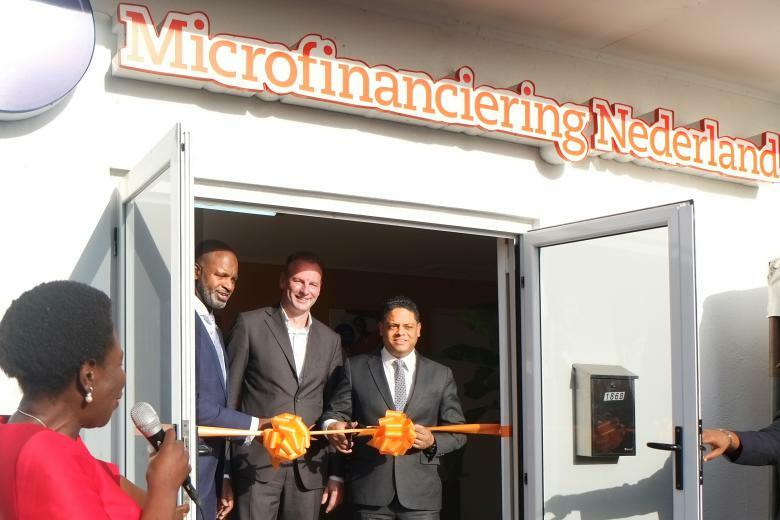 At the Willemstad office entrepreneurs can go apply for microcredit loans (up to NAf 50,000), coaching and help with business planning. On Bonaire, Aruba and Sint Maarten locals already make good use of Qredits services and opportunities. Since 2009 Qredits has provided loans to start-ups and entrepreneurs in the Netherlands. The most important thing is that the non-profit organization wants to stimulate entrepreneurship. When assessing credit applications the funder particularly looks at future possibilities for the entrepreneur, not just at his past. An entrepreneur’s passion and business plan are more important than many other facts. In the Caribbean part of the Netherlands Qredits has been active on Bonaire since 2015. And last year started branches on Aruba and the SSS islands. CEO and founder of Qredits, Elwin Groenevelt is proud of this new milestone. He wants to give everyone the chance to make his/her entrepreneurial dream come true. On 20 October 2017 an agreement was signed with Minister Steven Martina that made it possible for Qredits to start on Curacao. ‘With the addition of our Curacao office it is now possible for everyone in the Dutch Kingdom to apply for a loan with us. With the vision we have for making as many entrepreneurial dreams as possible come true this Curacao location really is the icing on the cake. This way we can help even more people who have or want to start their own business. And that's what we are about! " Despite the fact that the office was not yet officially opened, Curacao entrepreneurs were already able to reach Qredits. The first applications were received via the Facebook page and the website of Qredits Curacao. Local loan consultants Raiska Herrera and Thom Van Der Weide are working hard to assess these initial applications. As of today it is possible to come by the office of Qredits at Caracasbaaiweg 186B in Willemstad to get more information. The Qredits Curacao website is available in Dutch and Papiamento and can be found at www.qredits.com. Loan applications can be submitted through the website and necessary documents can be uploaded.